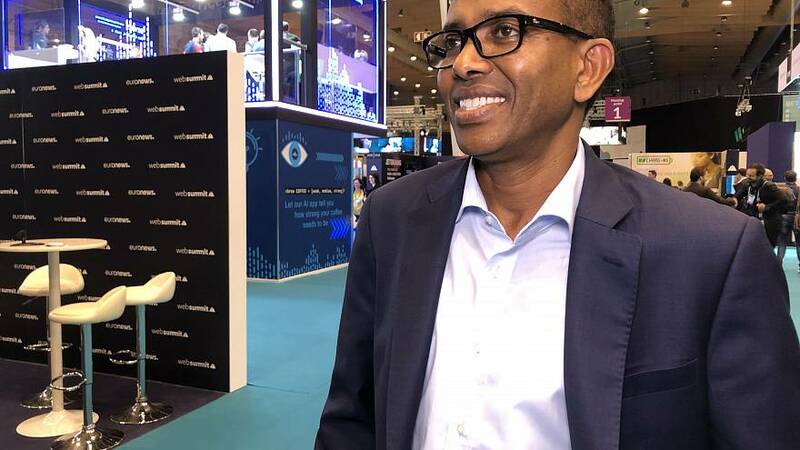 Ismail Ahmed, the founder of one of the world's leading online money transfer services, speaks to Euronews at Web Summit in Lisbon about growth, entrepreneurship, and the pleasure of sending cash back to the family. Scrolling through his phone after our interview, Ismail Ahmed - originally from the self-declared Republic of Somaliland - proudly shows the latest transaction through his app, sending 300 dollars to his nephew earlier in the day. "I'm probably one of WorldRemit's biggest users," he grins. Ahmed's app has grown rapidly since he founded the firm in 2009, swelling to over 3.5 million users today and aiming for 10 million users by 2020. The concept is simple: if migrants want to send a few hundred or a few thousand euros, dollars, or pounds back to their family in their country of origin, then it will be easier and cheaper through their smartphone app or website. Can you give us your elevator pitch for WorldRemit? "World Remit is transforming the way people send money back home, we’re making sending money as simple as sending an instant message. We’re enabling migrants from more than 50 countries, mainly Europe, north America, APAC region, to 147 countries. Is sending money still difficult for migrants? How do you attract new users in a market where people have their habits and like to stick to them? Where do you see market growth now? Are you going to go for an IPO, and if so when are you going to do it? "Our business is still growing, we’re still at the early stage of our growth, so at some point in the future I think we will consider IPO, but at the moment the focus is to continue to scale our business. You asked about how we grow our business, and I think brand awareness is key. Last year we sponsored Arsenal, and the reasons is a lot of Africans follow Arsenal, and that awareness is really helping us accelerate the growth of our customer position."